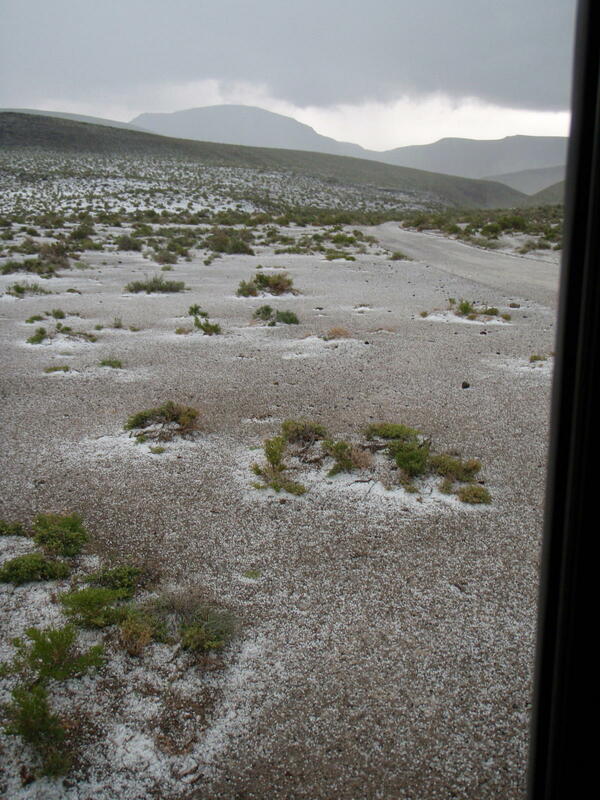 It did some hailing today, but it didn't last long. 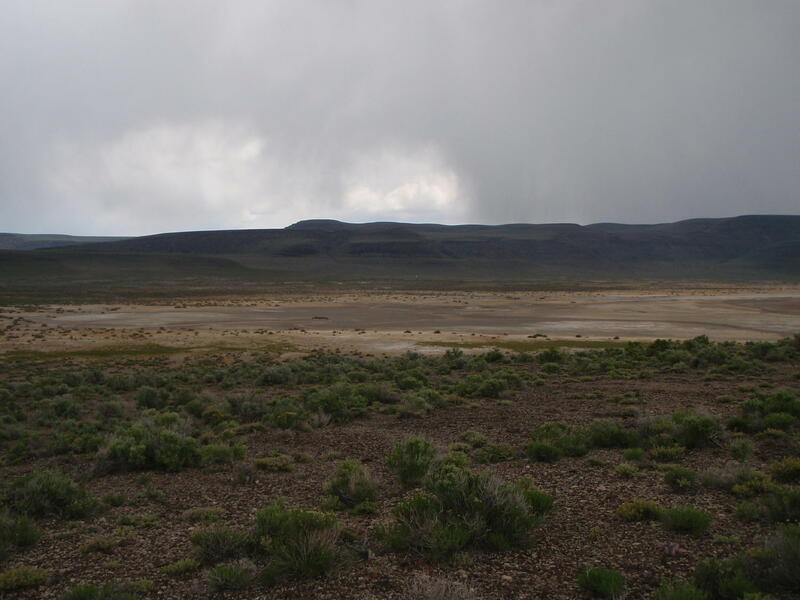 This is another valley, north of Micky. You can see my ATV and the road i came in on. 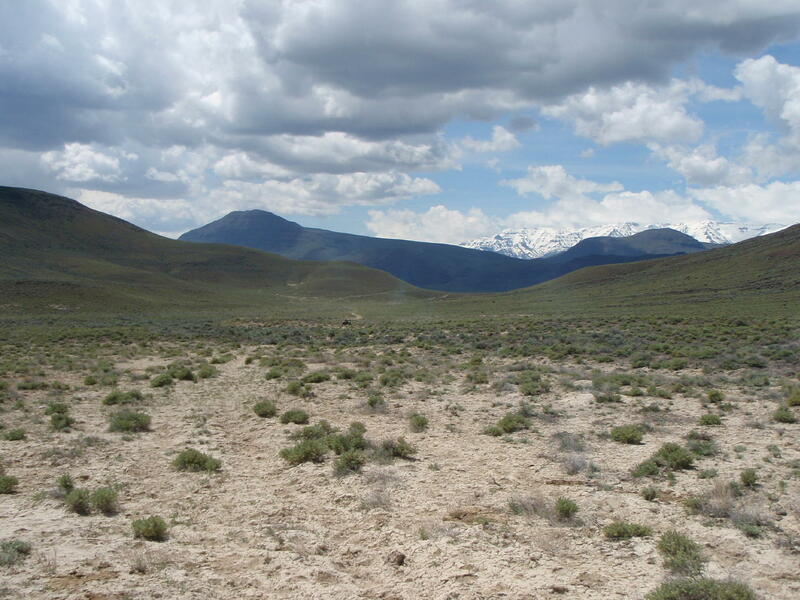 This is looking at my camp(the white dot)from the far side of the plya. I'm just south of the rock house, on a ridge. 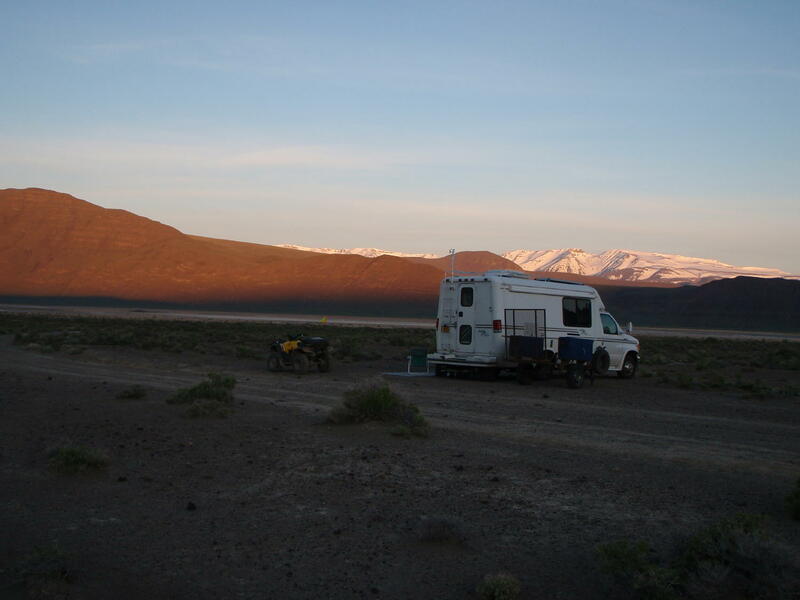 This is my camp, clear with the Steens in the back ground. 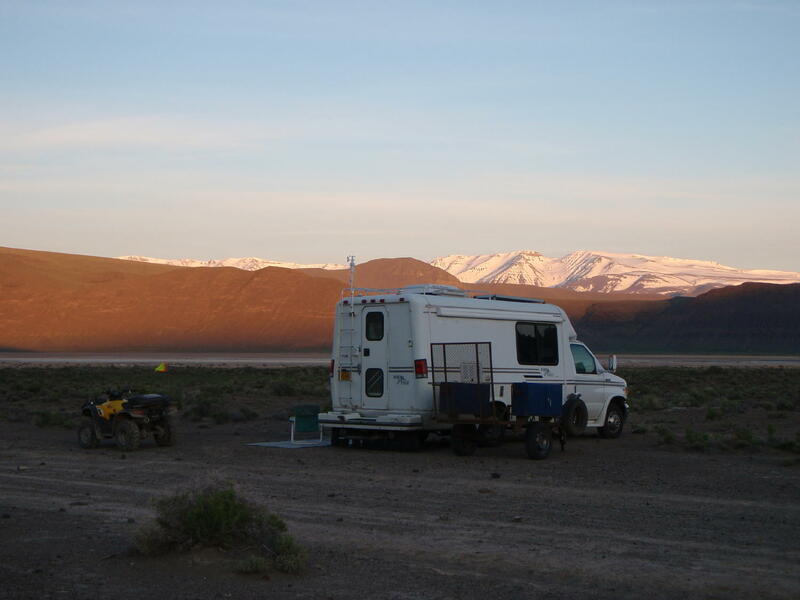 This is a closeup of my camp, clear with the Steens in the back ground. The sun is rising as you can see on the hills.